Kearney, Neb. (August 15, 2018) – On August 11, 2018 Nebraska Children’s Home Society celebrated its 125th Anniversary, “Children First for 125 Years!,” in Kearney, Nebraska at the Younes Conference Center. 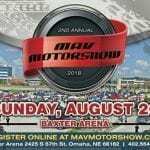 Through a silent auction and ask, the event’s audience of 125 guests raised $39,564 to support adoption and foster care services provided by NCHS in Central Nebraska. The event’s keynote speaker, Danny Woodhead, retired football player, shared his rise from local hometown football star to a 10-year career in the NFL. 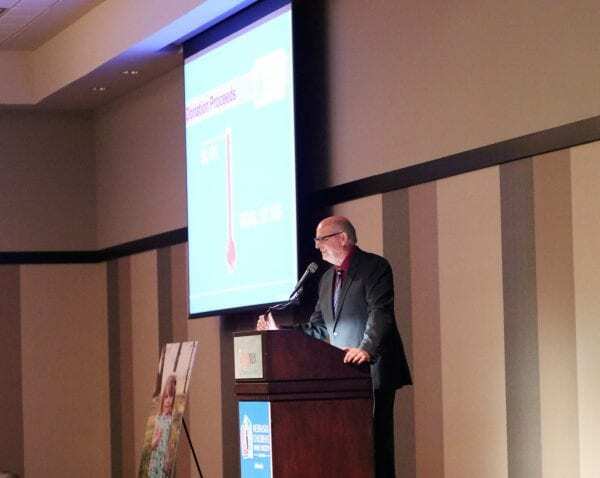 His keynote speech, “The Power of Family” touched on the role of family in his upbringing and connected it to the the vision of NCHS, “a safe and loving family for every child.” Through his story, Woodhead encouraged the audience to support the work of NCHS throughout Nebraska. NCHS presented awards to two couples in honor of their support for the organization. This year’s Randall Biart Philanthropy Award was presented to Regina and Gary Anderson of Hastings, Neb. for their generosity in supporting the NCHS vision of “a safe and loving family for every child.” Gary is the owner and operator of Guarantee Electric Company, and Regina is a registered nurse at Mary Lanning Healthcare. The Andersons are long-time supporters of NCHS, serving as members of the NCHS Board of Trustees for over a decade. 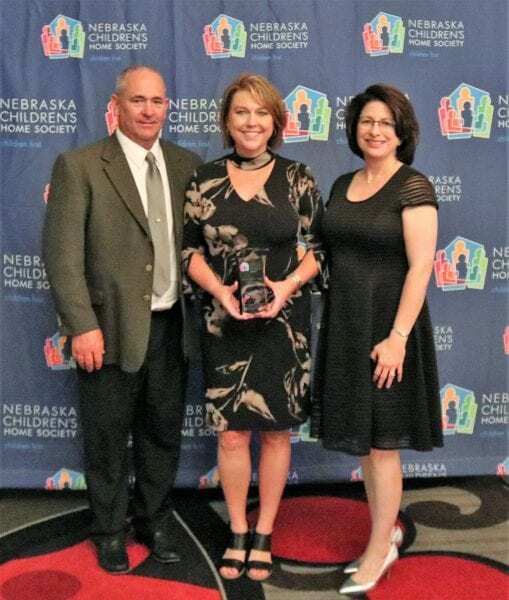 The Harris Van Oort Friends of Children Award was presented to Stephanie and Brad Kissler of Grand Island, Neb. for their tireless efforts to provide safe and loving care for children. Stephanie serves as director of development for Heartland United Way and Brad is a principal architect with Cannon Moss Brygger & Associates Architects. The couple services in a variety of roles with NCHS. Both are active members of the NCHS Board of Trustees, members of the NCHS Society Circle and serve as foster parents. They also adopted their youngest daughter through NCHS. The event also featured remarks from Stacie Goding, a Grand Island adoption attorney who adopted through NCHS. She shared her experience with the adoption process and encouraged the audience to join NCHS in supporting children statewide. Russ Batenhorst, morning anchor for KSNB Local4, served as emcee for the event, also sharing his story of adopting his son through the organization. Gary and Regina Anderson, recipients of the 2018 Randall Biart Philanthropy Award, stand with Lana Temple-Plotz, CEO of Nebraska Children’s Home Society. Regina is holding the award. Russ Batenhorst, morning anchor for KSNB Local4 , served as emcee for the event, also sharing his story of adopting his son through the organization. Danny Woodhead speaking to an audience of 125 people at CHildren First for 125 Years, an event celebrating the 125th Anniversary of Nebraska Children’s Home Society (NCHS). Woodhead, the event’s keynote speaker, spoke about “The Power of Family” through his own personal story and through the impact NCHS has on the lives of children throughout Nebraska. 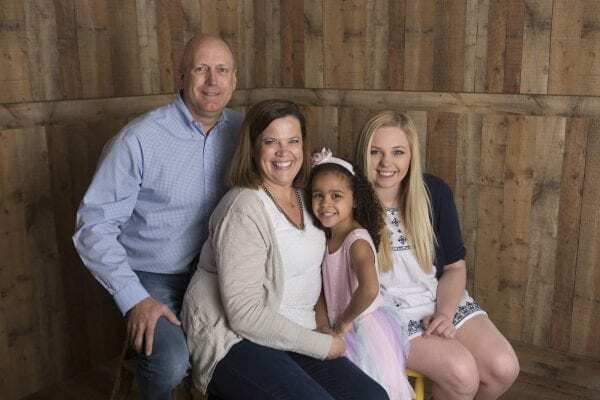 Brad and Stephanie Kissler, recipients of the 2018 Harris Van Oort Friends of Children Award, pictured with their daughters.